What to make with the strawberry liqueur. No need to wait for those perfect berries—the liqueur carries with it a vivid strawberry flavor, and there’s no worrying about straining out seeds. Just grab a bottle and try one of these three straightforward cocktails. Just take one look at this strawberry sparkler and tell us you don’t want to serve it at your next brunch. The fresh basil garnish makes this drink wonderfully aromatic and springlike; don’t skip it. 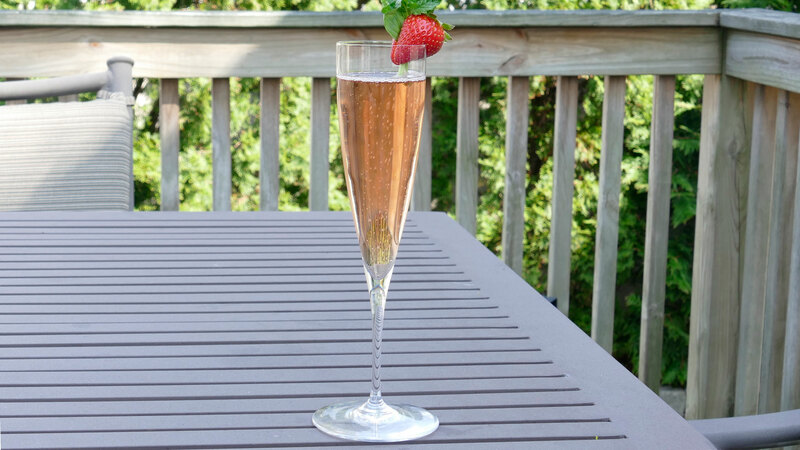 Instructions: Pour a half-ounce of strawberry liqueur into a Champagne flute, and fill with sparkling wine (about five ounces). Garnish with a strawberry and a few fresh basil leaves. It’s more traditional to use fruit liqueurs in bright, lively drinks (like the other two pictured here). But using a judicious amount in a darker, stiffer cocktail can work well, too. Here, we’re stirring it together with a high-quality dark rum; Angostura bitters balance it out, while two lemon peels give it a fresh burst of citrus. 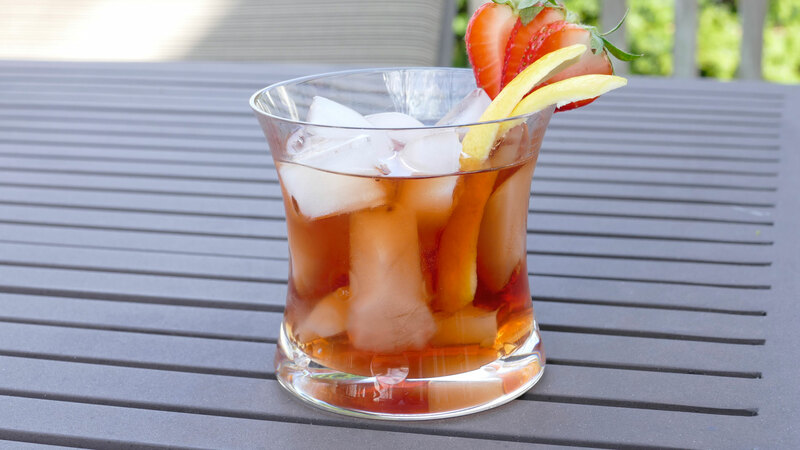 Instructions: In a mixing glass with ice, combine 2 ounces of dark rum, 3/4 ounce of strawberry liqueur, and 1/4 ounce of demerara syrup (Sugar in the Raw dissolved in an equal part of hot water). Add 2 dashes of Angostura bitters. Stir until well-chilled. Strain into a rocks glass over ice. Garnish with two big twists of lemon peel and a fanned-out strawberry. 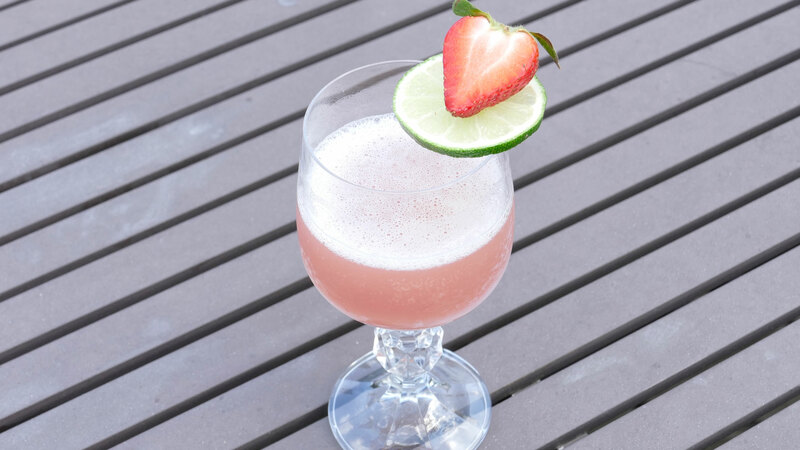 A simple gin-and-lime gimlet is one of our favorite warm-weather cocktails; adding a high-quality strawberry liqueur is a no-brainer. Spring-friendly and dangerously drinkable. Instructions: To a cocktail shaker with ice, add an ounce and a half of gin (we're using Plymouth), an ounce of fresh lime juice, 3/4 ounce of strawberry liqueur, and a half-ounce of simple syrup. Shake it all up and strain into a cocktail glass. Garnish with a lime wheel and a strawberry.